Summer is in full swing and that means social calendars are heating up! Summer is my favorite time to entertain outdoors. I mean who doesn’t love sitting on the patio with cold drinks in hand and delicious food cooking on the grill?! I just love grilling and trying new recipes for everyone to enjoy. That’s what summer is all about! If you’re entertaining friends and family this summer, be sure to check out these 4 Summer Entertaining Must-Haves! 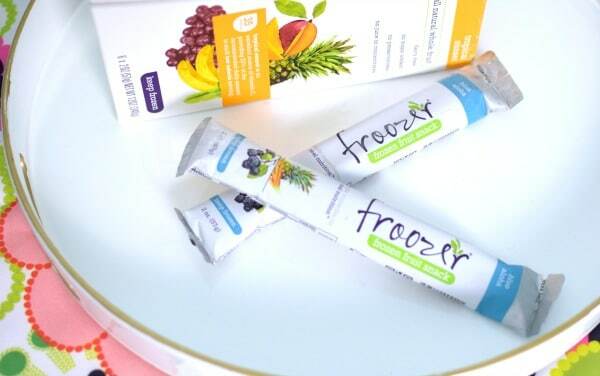 If you’re looking to cool off this summer with a delicious, healthy snack, than Froozer will be your new favorite summer treat! 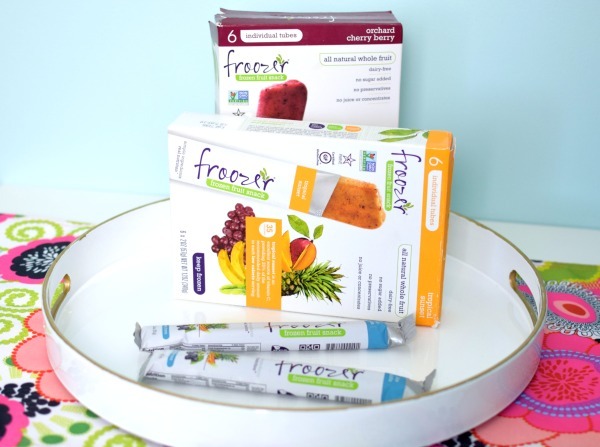 Froozer is an all-natural frozen snack that is made with 100% fruit and no added sugar. They are only 35-40 calories per serving and come in four mouth-watering flavors: Strawbanana Bliss, Tropical Sunset, Blue Aloha, and Orchard Cherry Berry. Packaged in convenient, easy to grab and go tubes, these treats are perfect for kids, guests and you! Click here to see where you can purchase Froozer and print this coupon for $0.55 off any Froozer frozen fruit snack. 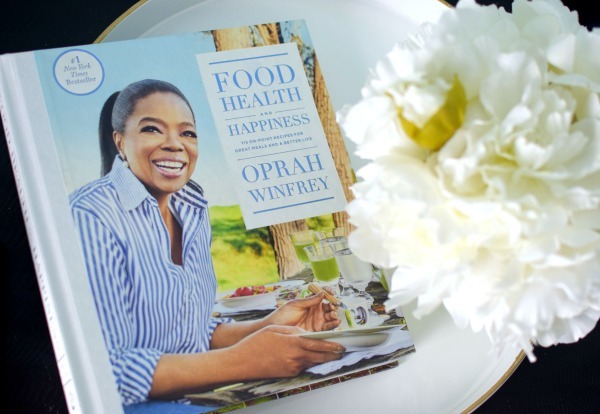 In this personal cookbook Food Health and Happiness: 115 On-Point Recipes for Great Meals and a Healthier Life, Oprah Winfrey shares her favorite healthy recipes that she created alongside of her favorite chefs. Whether you’re throwing a dinner party at home or celebrating a milestone with friends and family, re-create delicious recipes fit for a party with Oprah’s favorites. 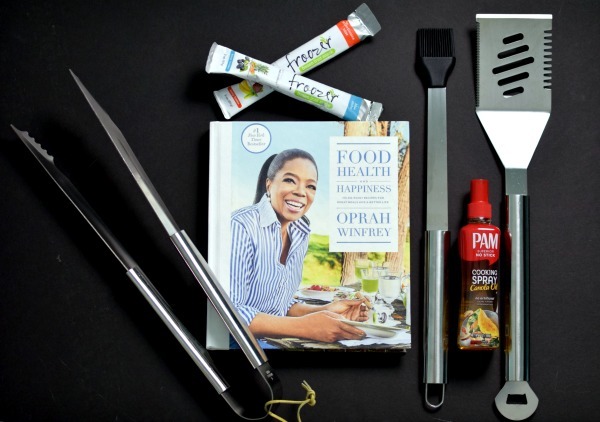 From tea-smoked wild salmon to heirloom tomato and summer corn salad, wow your guests with these recipes straight from Oprah’s kitchen! Click here to purchase Food, Health and Happiness. Are you looking for the best grilling tools for summer entertaining? This sleek stainless steel BBQ tool set includes basting brush, tongs, and 4-in-1 spatula. The 4-in-1 spatula is also a turner, meat tenderizer, bottle opener, and knife edge all-in-one tool. It doesn’t get much better than that! Well you see, it does! TRUE VALUE brings you the best quality at the best price! It’s a win-win! Grab your BBQ Tool set here. 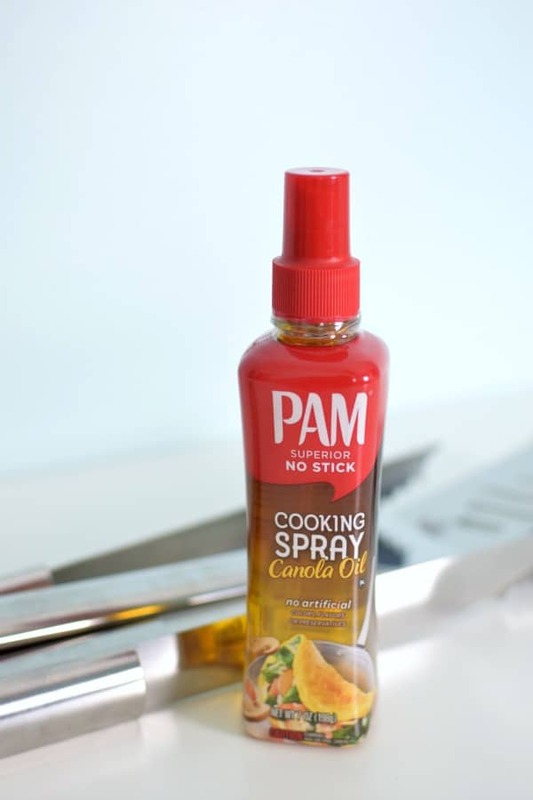 If you’re looking for a superior non-stick cooking spray that doesn’t add all of those extra calories to your food, then you need to check out the new PAM cooking sprays for all of your grilling needs. Explore PAM products here. These 4 Summer Entertaining Must Haves also make great hostess gifts. If you’re attending a summer party, grab one of these fabulous items for the hostess with the mostess!